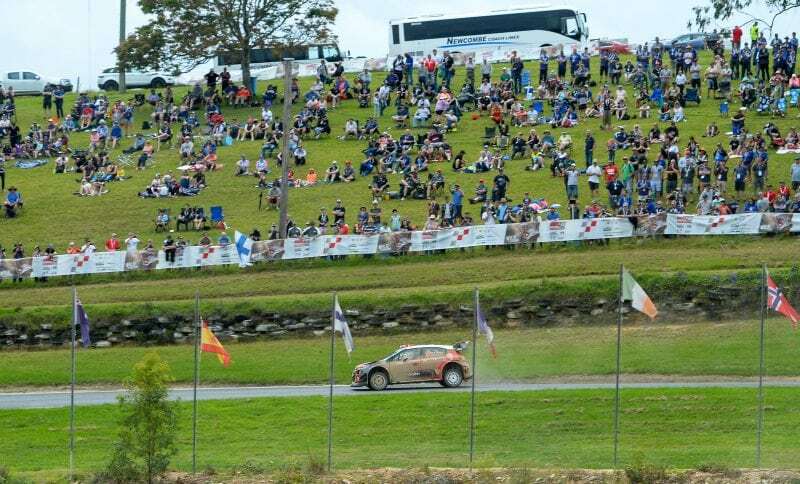 COFFS COAST (NSW) – Spectators will have the “best view in the house” when drivers in the FIA World Rally Championship (WRC) tackle the tight twists and turns of the Raleigh Special Stage at Kennards Hire Rally Australia in November. At just 1.97 kilometres, the stage will be one of the shortest on the 317km itinerary of the 15-18 November WRC season finale, but it promises breath-taking thrills for fans in an amphitheatre-style layout. With the expected field of around 80 international and Australian cars to run through the stage on Saturday morning and afternoon, plus a range of off-track attractions, Raleigh will provide easily-accessible and inexpensive all-day family entertainment. The action will include all the world championship stars, including five-time world champion Sébastien Ogier representing M-Sport Ford, Hyundai’s Thierry Neuville, Jari-Matti Latvala from Toyota, Mads Østberg from Citroën and many others. The multi-purpose Raleigh International Raceway is located close the Pacific Highway and 20 minutes’ drive south of Rally Central, the WRC competitor service base at C.ex Coffs International Stadium. Adult entry will cost $10 at the gate for spectators wanting a one-off experience of Kennards Hire Rally Australia, but will be free for those already with Eat My Dust all-day or Ultimate Get Me Everywhere three-day passes. Those aged under 18 enter free – as they do at all dedicated daytime spectator points throughout the rally weekend. From grassy, shaded slopes spectators will see the world’s fastest rally drivers and cars in action around the entire mostly-tarmac course, which they will cover twice clockwise and in reverse direction to past years. As a bonus, a giant video screen will show all stages on WRC’s exclusive All Live coverage throughout the day. CAMS Australian Rally Champion and Coffs Harbour local Nathan Quinn recommends the Raleigh special stage as the place to see the skill of WRC drivers at its best. “Tight and technical, it rewards the brave especially at the second-last corner and the best will show you how the ‘Scandinavian flick’ works,” said Quinn, the top-placed Australian driver in 2017. Tickets to Kennards Hire Rally Australia are available on the official website www.rallyaustralia.com.au or directly from www.ticketek.com. Until 31 July, the $99 all-event Ultimate Get Me Everywhere pass includes a free, identical second ticket. Detailed spectating information, including times, directions, facilities, location videos and even photography tips, is available for Raleigh and every spectator point at www.rallyaustralia.com.au. And it’s never been easier to reach, following recent completion of the last section of highway upgrades between Sydney and Coffs Harbour that make the driving time, shorter, safer and more enjoyable.